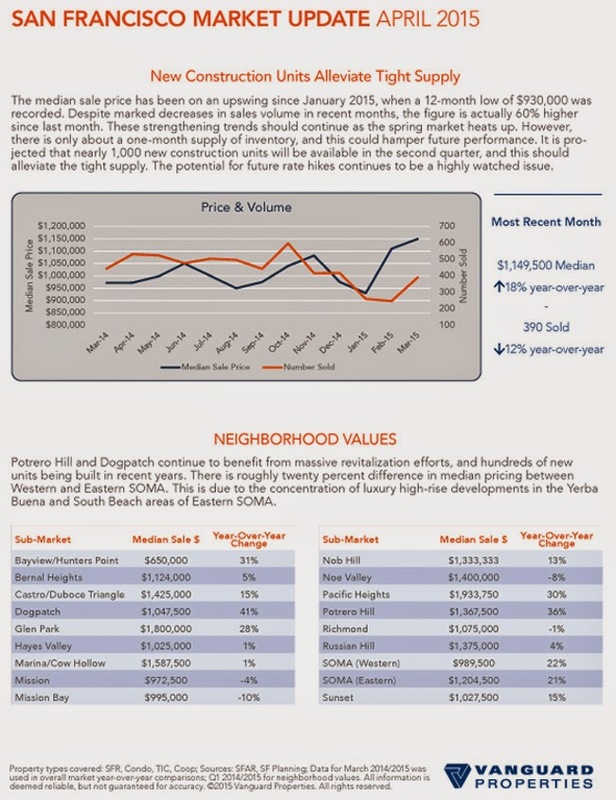 Off-market sales have been more prevalent over the past number of years, more than ever before. This is due to the lack of supply and incessant demand in San Francisco. Specifically, Realtors representing Buyers continually need to think outside the box in finding their Buyer clients something that fits their desires and satiates their needs; hence off-market deals ensue. In an effort to do so, agents often network their sphere of influence, and fellow agents, to see if there are any owners deliberating the sale of their home. Buyer agents regularly canvas neighborhoods and knock on doors to spur owner interest in selling (quite possibly off-market for the ‘right’ price). For the right price, many people are willing to bring their property to the market. The real benefit to a property owner to sell his / her home off-market is 1) privacy, 2) convenience, and 3) reduced costs. To many, privacy is paramount. They handle all their personal, business and financial affairs behind closed doors. In doing so, off-market sales are ideal. Neighbors down the street and various “lookie-loos” a block over will not parade through one’s home with no real intent to buy. We all know someone who fits that description. A Seller’s Realtor should have a strong rolodex of potential Buyers and top producing colleagues who know the best Buyer for the home – and willing to pay the highest price possible. When confidentiality is of high importance, the off-market strategy is a top strategy to consider to yield the greatest return. Convenience is pivotal for the busy professionals and the affluent. Knowing they don’t have to keep the home in pristine condition, and can originate contractual terms that can benefit both sides of the table without being pressed for time bodes well in these instances. The Seller may need more time to find a replacement property, or the Buyer would like to conduct various inspections – such cases make off-market sales beneficial as should one side terminate the deal, no stigma will come of it. Reduced costs explains why off-market sales now account for up to 20% of the property sales in San Francisco. Sellers can save on a multitude of home preparation expenses, including: property inspections, painting, cleaning, landscaping, and staging / design to name only a few. When selling off-market, such expenses can be ‘passed’ onto the Buyer in the form of a concession or reduced price. In the end, off-market sales are all about relationships, and what kind of ‘market reach’ your Realtor has to procure the ideal Buyer for your property off-market. The goal for a Seller will always be to 1) get the highest possible price and 2) close escrow in a timely fashion, and the off-market venue is another way to capture the market, but do so in a more strategic, efficient, and conscientious manner.